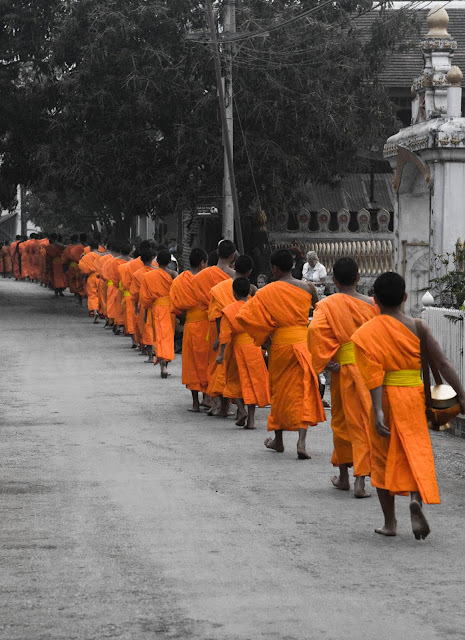 The orange the monks are wearing really pops out. It's a great photo. What a wonderful picture. I almost thought you'd played with one of those special effects--making the color a stripe against a B&W background. Better yet, it's real! So very cool. TR, so glad to see you posting again! I have missed you! This is an awesome photo. Very dramtic with the black, white and gray tones and then the ribbon of bright orange flowing through the middle! Always impressive, Tim! Thanks for sharing your incredible vision through your lens via your blog. Everyone needs to savor God's beauty to ease the stress of life. Hey, this is one of the best photographs I've ever seen.